Many users vape without a problem, but between 2009 and 2016, the US Fire Administration reported 195 incidents involving exploding e-cigarettes and electronic cigarettes catching on fire. Unfortunately, because of how these devices are used, the consequences can be devastating. 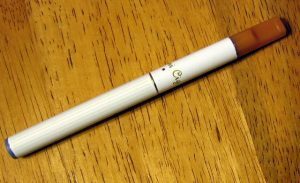 E-cigarettes are held close to the face, so if they explode or catch fire while in use, it is common for the users to experience mouth injuries, dental injuries, facial injuries, and eye injuries. Due to the close proximity to the face, any injuries can be quite serious and any projectiles caused by the explosion can imbed themselves in the face, eyes, or even skull of the e-cigarette users, making the injuries potentially life-threatening. When e-cigarettes aren’t being used, they tend to stored close to the body, in someone’s purse or even in a shirt or coat pocket. If e-cigarettes explode in a purse or backpack, they can cause significant property damage (especially if other electronics are stored in the same place) and are often close enough to cause burns and other serious injuries to the person carrying the item. When they explode or catch fire in a clothes pocket, they can cause a person’s clothing to catch fire, causing wide-spread burn injuries. They can also cause pieces of e-cigarette to get imbedded in the skin, causing severe pain and significant injury. If you are injured by an e-cigarette, start by getting a full medical evaluation. You want to get treatment for any mouth, skin, or face injuries right away, since waiting can cause complications. Prompt treatment can help you save any teeth that have been injured and can stave off infection. In addition to getting medical attention, make sure you take photos of your injuries, the e-cigarette, and any surrounding area. Get as much documentation and evidence as you can. You will also want to contact a defective products attorney as soon as you can. An attorney can help you review how much your potential case may be worth and can represent you in negotiations or in court if you seek a legal claim. Working with an attorney can help you pursue liable parties and can help you seek compensation for your injuries, your medical treatment, your property damage, lost income, and any other losses you may have suffered. If you have been injured by e-cigarettes and are concerned how you will pay the costs of your injuries, contact Flaxman Law Group at 1-866-352-9626 (1-866-FLAXMAN) for a free, no obligation case consultation with a Homestead or South Florida products liability attorney.